Scavenger Hunt Riddle: Why didn’t the skeleton cross the road? By now, hopefully you have joined in the Solstice Publishing Scavenger Hunt, where you visit many blogs and websites such as mine, search for a Halloween joke/riddle and submit your answers to Solstice to have a chance to win free books! 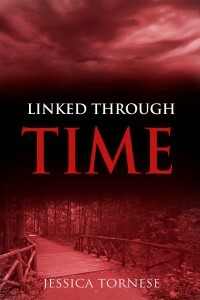 (www.solsticepublishing.com) Now, here’s another chance to win books if you are a time travel addict! Life II, by Scott Spotson, and Linked Through Time are available to win as well! All you have to do is leave a comment about the following interview with your name and email address, and we will randomly select winners to receive both books! 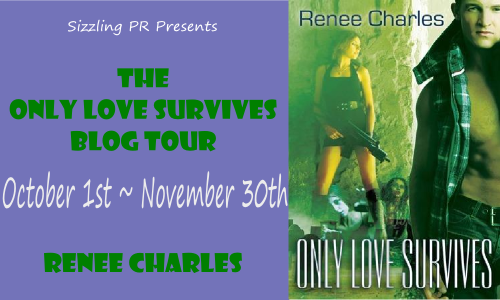 And on a side note, if you aren’t chosen as a winner- both books will be on sale November 1st for only .99! (Lost Through Time, the sequel will be .99 this day as well!) Winners will be contacted after November 1st! And now….for a unique twist. 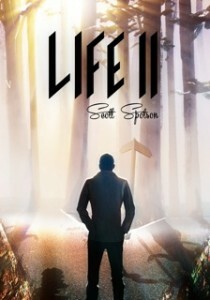 Scott Spotson’s character, Max Thorning, and my character, Kate Christenson, have both agreed to a combined interview on the likes of time travel! 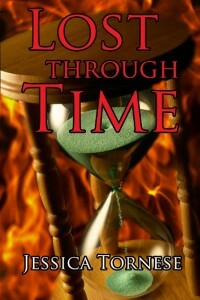 Read on for their thoughts on time travel, their warnings, and life lessons learned. Private Interview with MBC correspondent, Mabel Watters, and time travelers, Kate Christenson (Linked Through Time/ Lost Through Time) and Max Thorning (Life II). Mabel- In the efforts to maintain all evidence as factual, is it okay if I record this session? Kate- Absolutely. I have nothing to hide. Kate (laughs) – Pressed for time! We never have enough time, do we? Max (laughs also) – Believe me, I know what you mean. Max (groaning) – Aw! I would have loved to meet him! He’s one of my heroes. Max- Aw, man. I’m 42 and you’re 28. I should know this stuff! Mabel-Do the two of you know each other? Kate- No, I just met Max here while standing in line. I can’t believe how many people are here; there’s no way half of them are telling the truth! Max- It’s tough. And only a few of us have truly experienced it. No one else will understand unless they experience it themselves. Mabel- Well, that’s why we’re interviewing you. How is it that you have both come today as part of this group of supposed “time travelers”? Kate-There’s no ‘supposed’ about it. We have experienced time travel, and we’re trying to prevent any future acts or rash decisions. There is nothing fantastic or even remotely sane about time travel. Kate (putting her hand on Max’s shoulder) – I know, you sure held up well. You should be proud of yourself, Max. Mabel- Aren’t you afraid of what people will think about you? What you are claiming? Have you lost friends and family over this? It’s certainly the most far-fetched thing I have ever heard of. Why I’d have to see it with my own eyes! Max- I lost my wife because of this. She didn’t believe me. She just walked away. Kate- To explain, that was Max’s Life II wife, the wife he had in the alternate future. Yes, I know it’s confusing. He was married to a different woman in his original life. Kate-I used to be afraid of what people would think. Now, I’m just interested in controlling something that is potentially the most dangerous thing one could ever attempt. I guess it’s like anything else with humans. Curiosity will usually win out, but maybe by hearing our stories, it may cause someone to think twice. Mabel- The U.S. Government in alliance with Canada has been trying to locate all people with claims to knowing something about time travel. How many people out there do you think have the ability? Do you think the government will try to cover up these scientific abnormalities, or use them in some sort of bizarre experiments? Kate-I only came here today to inform and educate about the mistakes of time traveling. It looks like the whole thing has turned into some sideshow circus act. Seriously, they think I’m going to submit to DNA testing and a full exam? Not on your life! Max- Believe me, after they hear what I’ve been through, no one would ever try this. No sane person would. Mabel- Both of you have said you experienced major life changes from time traveling. Can you explain? Max (laughs) – Boy, where do I start? Unlike the original timeline I was from, my best friend didn’t go to university, he developed a gambling problem, went bankrupt, and then re-invented himself as a successful real estate agent! None of that happened in Life I.
Kate (sniffling) - Sorry, I got a little carried away. I didn’t mean to make light of your experience whatsoever. Mabel- So you can control time travel then? Mabel- I guess I am a little confused. So what exactly are you doing here? Why get involved? Kate – See..the time traveling makes you insane. (points to Max) Case in point! Max- Wait, wait. I got my sister to be closer to everyone in our family. That was precious, it really was. Also, I satisfied my curiosity about many other things..
Kate- Yes, maybe you want to see what other choices may have led to, but in my case, I wasn’t trying to travel on purpose, and it changed the lives of so many people. I guess that’s the point, time traveling is a selfish wish. It’s never about just you, but everyone you come into contact with. Maybe I would have felt differently if I had chosen to go back in time, if I’d had more control. But I lost so much in the process. My mother…my grandmother. Kate- Shush, Max. You did save your uncle..
Max- Yes, yes, I did. He had cancer, and I warned him just in time. Mabel- Wow! This must all be so incredibly personal to you both. Mabel-If you could contribute one thing to this study, what would it be? Max- Just don’t do it, period. It’s not worth it. Curiosity is fun and all, but that’s why we have movies. When you do it to yourself, it’s not fun. (he moans) Just take it from me. Kate- Well, I guess I would warn people to watch for the signs of traveling. I’m not certain that all the telltale signs of being a traveler are the same. For instance, Max here, doesn’t have the birthmark like my family carries. Just today, I’ve learned that people travel in many different methods, but I would tell them a hundred times, if you can prevent it from happening-do it! My first time traveling was a complete accident, but I should have stopped there. The second time I traveled loosed a whole Pandora’s Box of troubles and loss. I did it for the intention of helping, but only caused irreparable damage. Mabel- Are you saying that you wouldn’t try and go back to fix the problem in the first place, even when you have the power to do so? Kate- Have you been listening to a word I’ve said? Max- That’s Life II for me. When you fix a problem, another one just comes up. Sometimes I think Time has its own vendetta! Mabel- One more thing. Time travel is all about time, after all. What are the dates you left Time and the dates you went to? Max- I left this year, 2013. I went back to my 16-year-old self in 1987. Max- Tell me about it. I lived 26 years back to this present. Max- Must be interesting to observe history before your time..
Kate- I’m not sure if interesting is the word. Mostly terrifying, to be truthful. I’m still working on closure, and I’m hunting someone down who’s mission is only to further hurt the world with traveling. Mabel- Will either of you pursue other forms of media to tell your story? Maybe write a book? Venture into movie options? You have quite the stories and could make a pretty penny. Kate- Reliving those moments is not something I choose to do. I feel like if I turn it into something people may construe as a ploy for fame, I won’t be taken seriously. Max- As Shylock from Shakespeare’s time would say, I’ve extracted my own pound of flesh. I could never do this again. Mabel- So I guess in some way, for both of you, time travel was fascinating, but also detrimental. Kate- It is unfair of us to entice people with claims of being able to travel and then say “Don’t do it!”. After all, if I hadn’t time traveled and then heard about it being possible, I am sure I would be tempted to try. It’s just so dangerous…playing with fire, if I can be so cliché. The concept is fascinating for sure! Max- I learned so much about myself…my family. It was rewarding and destructive all at the same time. Mabel-Thanks for your time and for agreeing to be interviewed. With your permission, we will air this segment later this week. Good luck, it was a pleasure to meet you both. Check out these books on Amazon.com. Don’t forget the .99 sale on November 1st! Orphan Train- Christina Baker Kline + Scavenger Hunt begins! 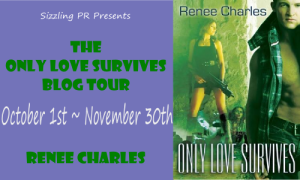 Read on to know more about this author and to find the scavenger hunt clue for Solstice’s Halloween Hunt! Solstice Publishing will have you visit several websites to find riddles and jokes to answer–winner may receive up to 50 free books! What do you expect to accomplish this year? 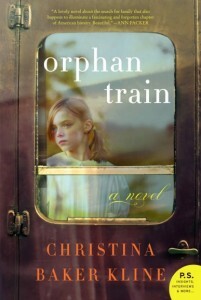 Also, I am still touring for Orphan Train as it remains a bestseller, and will continue to do so for as long as the events are available. What genre do you like to write? Read? I am a fan of Literary Fiction in general. 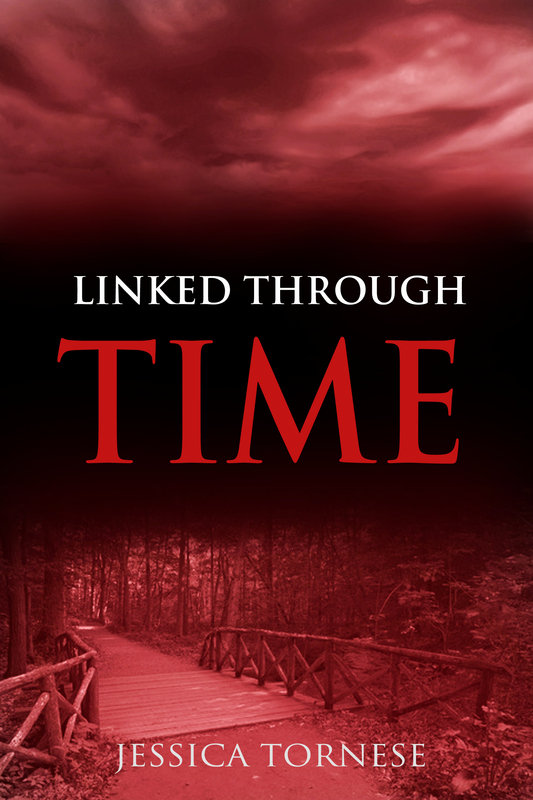 I also write for this genre, and mainly stay to an adult contemporary fiction path. I do love so many novels, memoirs, and some nonfiction as well. Sometimes, I think my books cross genres and age groups as they have a hint of historical fiction, or maybe have a younger protagonist that may interest teens, but overall they fit into literary fiction. Where do you get your ideas? Do you have a personal attachment to the Orphan Train story, or an interest in history? My husband’s grandfather was an orphan on a train sent to Jamestown, ND. When I read the article, I just knew this was a fascinating piece of history. He wasn’t from New York, as in the setting in my book, but from Missouri. I also have another book with a character that cooks, which I used to do professionally. I do incorporate a lot of my life into my work. I love to go for walks with friends, cook, and spend time with my three boys. I like to go to Maine and hike as much as I can, and I am doing a little bit of weight training, which I don’t love, but it is part of my life. I do tend to favor the 19th century authors. I love books like Anna Karenina, Madame Bovary…I love The Hours by Cunningham, and most recently, Room by Donahue. That’s hard to say. It would be like asking to pick your favorite child. For a more serious read, I might choose, Bird in Hand. It involves a car accident and the dissolution of marriage. It has a lot of depth. On the other hand, for a lighter read, I would say, The Way Life Should Be. It’s a great read as it’s light hearted, has delicious recipes and a little bit of comedy. 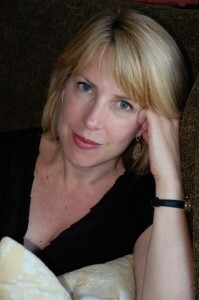 Christina Baker Kline is the New York Times-bestselling author of five novels – Orphan Train, Bird in Hand, The Way Life Should Be, Desire Lines and Sweet Water – and the author/editor of five nonfiction books. Writer-in-Residence at Fordham University from 2007-2011, Kline is a recent recipient of a Geraldine R. Dodge Foundation Fellowship and several research fellowships (to Ireland and Minnesota), and has been a Writer-in-Residence at the Virginia Center for the Creative Arts. She lives with husband and three sons near New York City, and spends as much time as possible on the coast of Maine, where she grew up. Walking through Haunted houses with my eyes only half open, holding on to husbands sleeve to guide me. Sorting through my kids candy and picking out my favorite pieces, then guilting them into letting me have them. The absolutely only time of year I am inspired to bake cookies, just to warm up the house without actually turning the heat on yet. Men dressed in firemen costumes. Decorating my house on Oct 1st, because if I sneak in anything before that my husband takes it down. The annual family trek through the Halloween superstore, where my kids have been known to throw a rubber snake at their father and dance in masks to the song Superfreak.